Suzuki outboard was serviced June 18. Blackout Curtains attached with Velcro. The Antares 650 make an ideal fishing / short cruise / family boat, with good performance and a roomy cockpit. This boat is in very nice condition and well equipped. The Suzuki 90 Hp outboard was serviced in June 18, so she is ready to go and definitely worth a view if you are in the market for this type of boat. 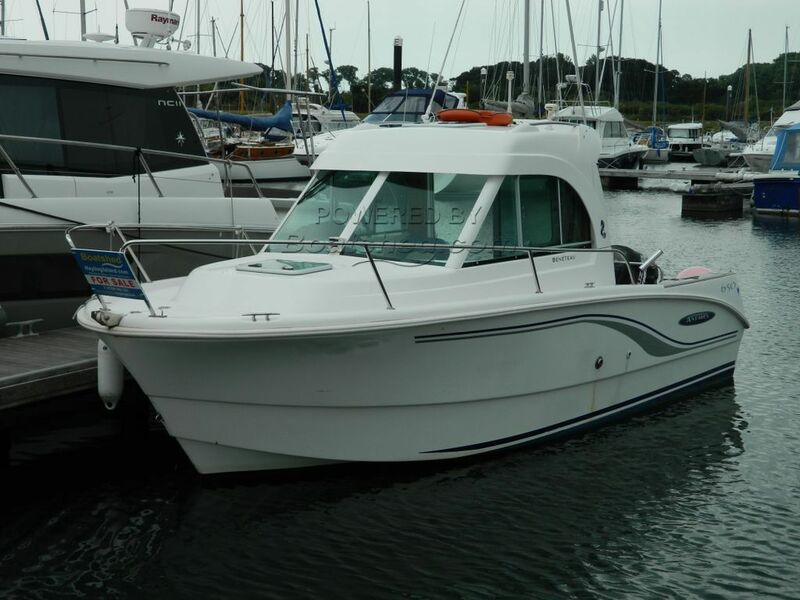 This Beneteau Antares 650 has been personally photographed and viewed by Bruce Mowatt / David Mowatt of Boatshed Hayling Island. Click here for contact details.